97. Cinnamon is related to cordiality and is a restorative of forces. 98. Wherever happiness exists, the elemental magic of the cinnamon surely must be present. 99. Wherever activity and optimism exist, the elemental magic of the cinnamon is present. 100. 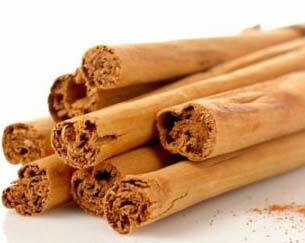 The elemental magic of the cinnamon gives activity and happiness. 101. Optimism and happiness must be combined with all our activities. 102. The elemental department of the cinnamon is precisely related with optimism and happiness. 103. The elemental magic of the cinnamon is intimately related with elemental forces that restore and comfort our life. 104. The elemental magic of the cinnamon is found intimately related with the forces that restore, fortify and comfort the life of children, adolescents, women, and elders. 105. The mind of the Arhat must cultivate optimism and happiness. 106. Wherever activity exists, a healthy happiness is needed. 107. The mind of the Arhat must deeply comprehend the significance of happiness and optimism. 108. When we penetrate into the elemental temple of this vegetable department of Nature, we see the elemental children of these trees playing happily within the temple, under the watch of the Angel who directs them. 110. One remains in ecstasy when listening to The Magic Flute of Mozart, which reminds us of an Egyptian Initiation. 111. One feels amazed when listening to the nine symphonies of Beethoven, or the ineffable melodies of Chopin and Liszt. 113. All the great Children of the Fire distill the perfume of happiness and the exquisite fragrance of music and joy. 114. The elementals of these trees are beautiful children, dressed with tunics of a pale pink color. Elemental. - Nature's innocent creature. Every plant has its elemental or "soul". Arhat. - (Sanskrit) Also it can be written or pronounced: Arhat, Arhan, Rahat, etc. it means "the worthy one, it referrers to the person who has entered in the path for the internal purification. Nirvana. - Nature’s higher dimensions, the heaven from the different religions. Download the practice in Word (*.doc) format. Download the practice in PDF (*.pdf) format. Current Practice Previous Practice More Practices Questions Subscribe!